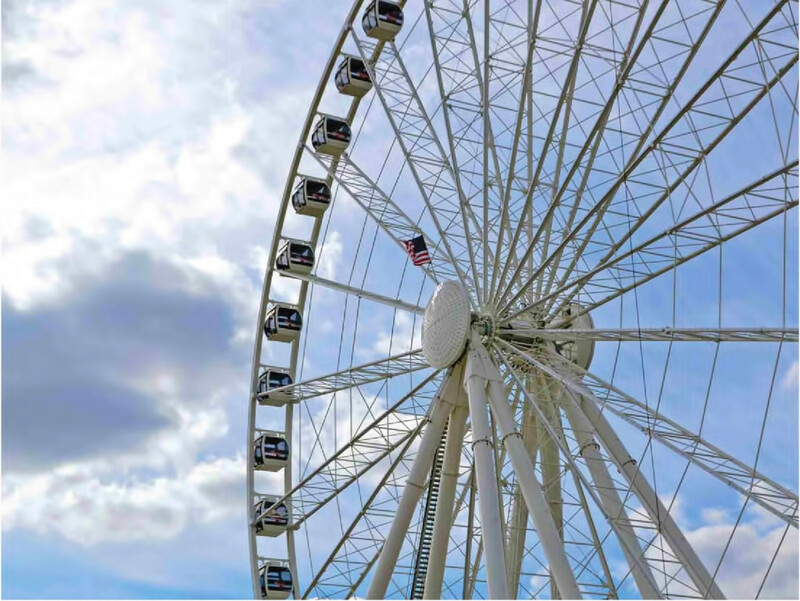 The 180-ft high Capital Wheel is located on the pier over the Potomac River at National Harbor. It can hold 336 passengers at one time and rotates 1.5x per minute. At night, 1.6 million LED lights make this signature tourist destination visible for miles.